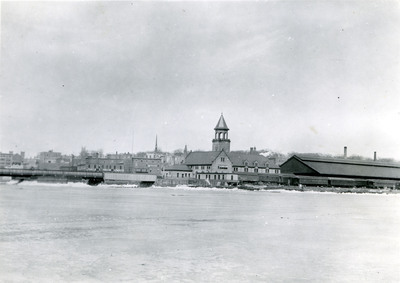 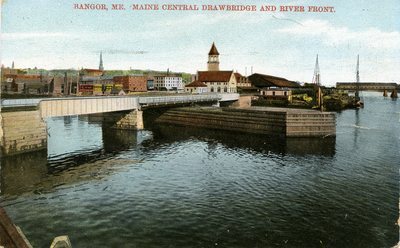 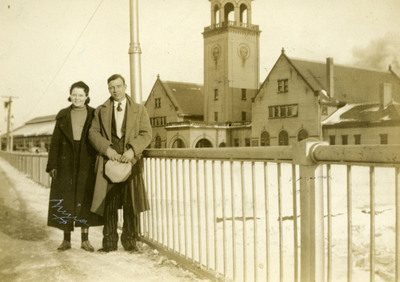 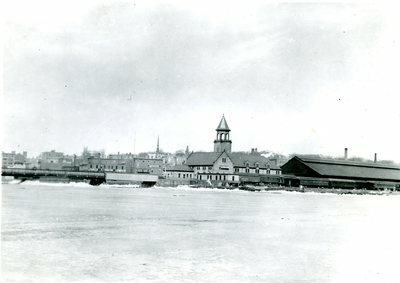 Maine Central Railroad's Union Station at the foot of Exchange Street and at the confluence of the Kenduskeag and Penobscot Rivers was a Bangor landmark from its opening in 1907 until its closing in 1960. 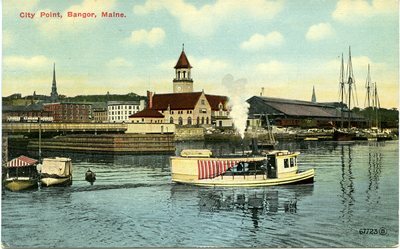 Demolished in 1961 as a part of Bangor's urban renewal program, the Romanesque Revival building had been a part of Bangor life for half a century. 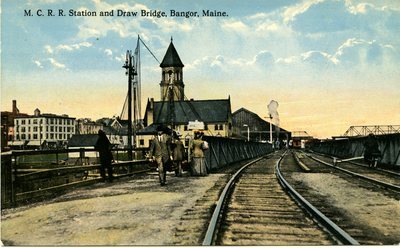 Family and friends met here, business men arrived from around the country, and citizens left for military service to their country. 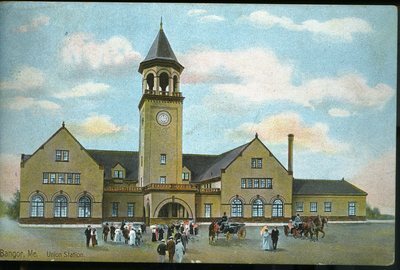 Tearful reunions and departures unmarked by returns became associated with the old station. 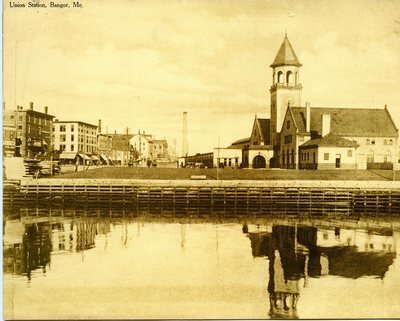 The building was designed by Henry B. Fletcher of Melrose, Massachusetts, who was an architect with the Boston and Maine Railroad. 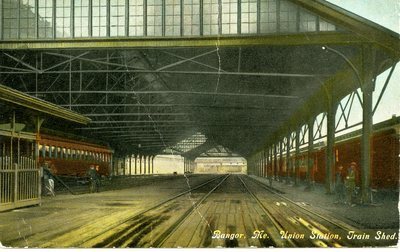 The station proper was 194 feet long and 82 feet 8 inches wide. 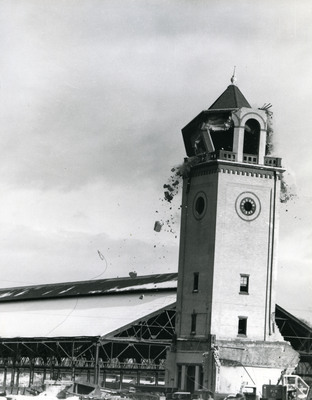 Faced with French buff brick and a base and trimming of Long Meadow brownstone, the building was graced with a 130 foot tower, 11 feet of which was a finial. 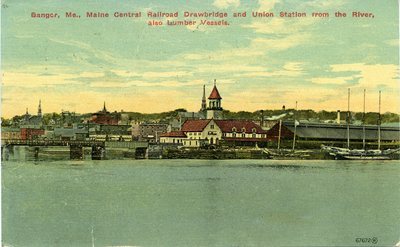 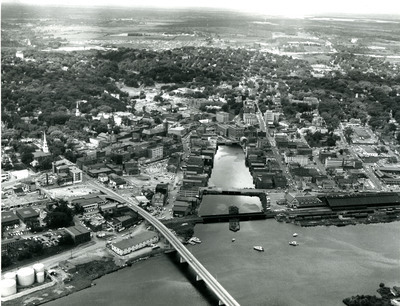 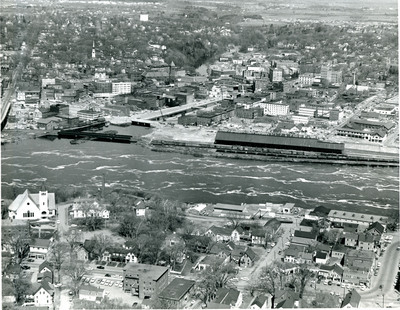 The tower was visible from across the city and across the Penobscot River into Brewer. 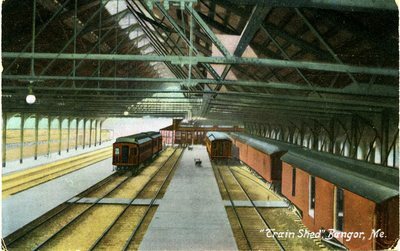 The train shed attached to the station was a massive structure, 500 feet long by 111 feet wide. 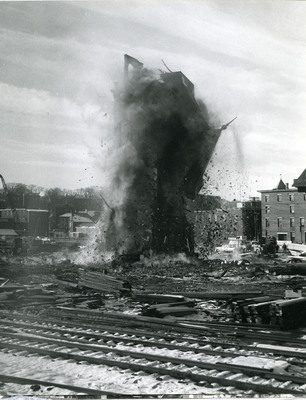 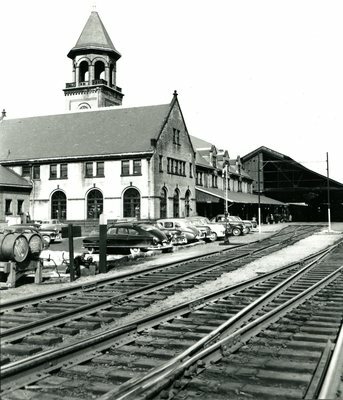 Constructed of steel to prevent the risk of fire from the trains, it had a glass and metal roof. 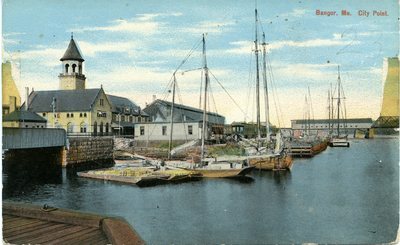 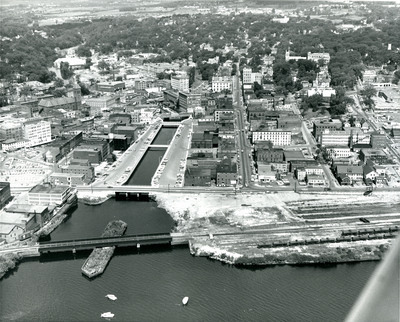 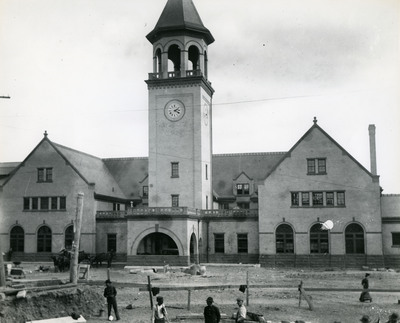 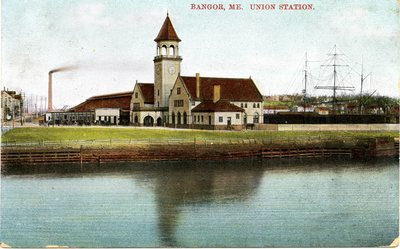 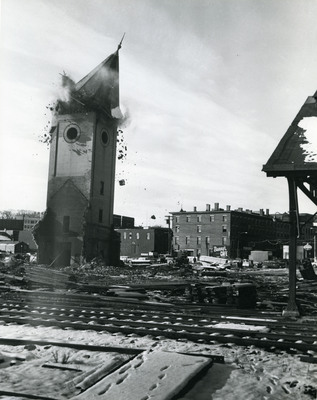 Passenger rail service ended in Bangor in 1960, and with that the opulent station with its prominent waterfront City Point location ended an era under a wreckers ball.